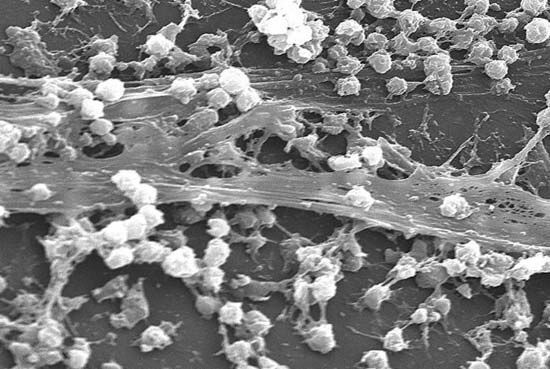 What are biofilms? Biofilm refers to any group of living microorganisms adhering to a surface. These organisms excrete a sticky substance comprised of a mix of carbohydrates and proteins (extracellular polymeric substances, EPS) to hold them ot the surface and to each other. "Biofilm, aggregate of bacteria held together by a mucuslike matrix of carbohydrate that adheres to a surface. Biofilms can form on the surfaces of liquids, solids, and living tissues, such as those of animals and plants."